Good jobs Raise the Floor…Workers achieve economic stability through decent wages and benefits, stable schedules, well-structured work responsibilities, safety, a sense of fairness and respect, and good communication with managers. 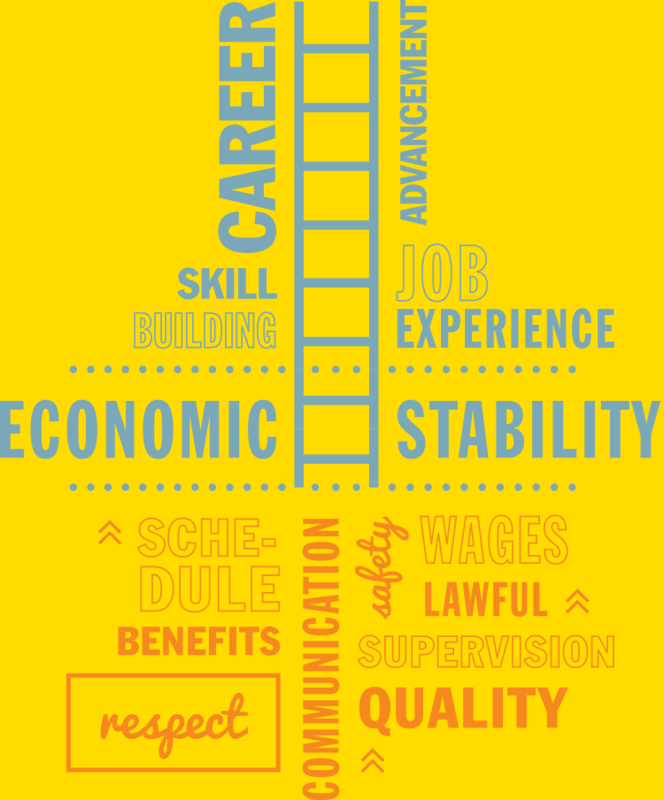 Good jobs also Build Ladders…Workers advance by gaining skills and building relevant work experience. And a sense of purpose, happiness, positive engagement, and work friendships also contribute to the quality of work life. This is the idea of gainful employment.